Home Business Business plans Are Your Sloppy Ways Turning Off Business Clients? Are Your Sloppy Ways Turning Off Business Clients? As the saying goes, you only get one chance to make a good first impression. Are you messing up yours without even realizing it? In the cut-throat world of business this is something you simply can’t afford to be doing, and so being prepared, organized and looking professional is key. 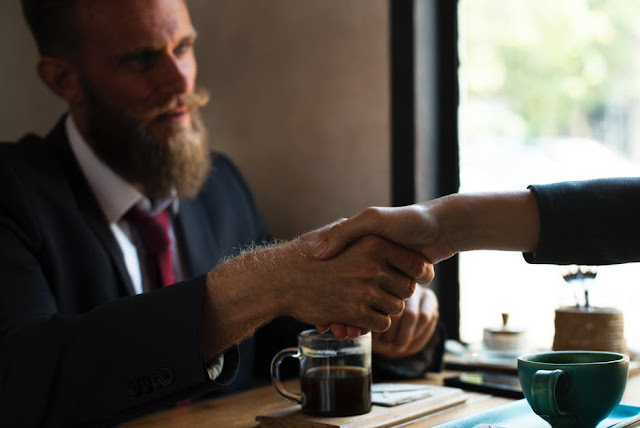 Here are some of the ways you can make a good impression and secure those business deals with clients. Showing up late to presentations or business meetings can ruin your reputation massively. In business, time is money and so showing up late, even by just a few minutes is never going to be seen as acceptable. It looks disrespectful, and if you can’t even be punctual, your potential client is going to wonder if this lack of care and organization is also present in your work. Making sure business vehicles are regularly serviced will avoid breakdowns. You could also use a refueling service such as New Era Fuels to make sure your fleet is ready to go. It prevents employees having to make stops for gas, and come tax time it’s easier to work out if all fuel payments are made by one person, to one company. Always set out to meetings with time to spare, planning routes and accounting for traffic and things like roadworks means you won’t run into any trouble. Another thing clients will expect when meeting is that you are well presented. Ensure any staff who meet with clients are particularly well groomed. Hair and facial hair should be neat and tidy. Facial jewelry should be removed, and clothes should be clean and pressed. Again it’s just another way to show your attention to detail in your business, which clients will appreciate. Being organized is another thing to get right. If your staff will be showing presentations or documents, these should all be neat and tidy and easy to access. Computers and smartphones should be charged, and they should have any other tools or equipment they need. A dark, dingy and dirty office isn’t just unpleasant for your employees, but it doesn’t give a good impression to clients either. If you’re using all outdated equipment and look as though you’re on the brink of collapse, it doesn't send a very positive message. Give it a revamp- paint the walls a light neutral shade, upgrade the furniture and computers and dot around a few living plants. Your staff are sure to appreciate the change, and you’ll make a far better impression to clients. Don't put potential clients off by falling into these traps. A few simple changes are all you need, they genuinely do make all the difference. If you show that you’re prepared and organized, it will make you look professional and is something clients will respect. Have you ever been put off a business deal with a company due to their sloppiness or lack of care?